This desk was designed for the CEO offices of a large IT company. It was needed for a small office used for visiting guests that need work space while they are at that location. It has a small drawer for antique writing instruments (pens) and paper. 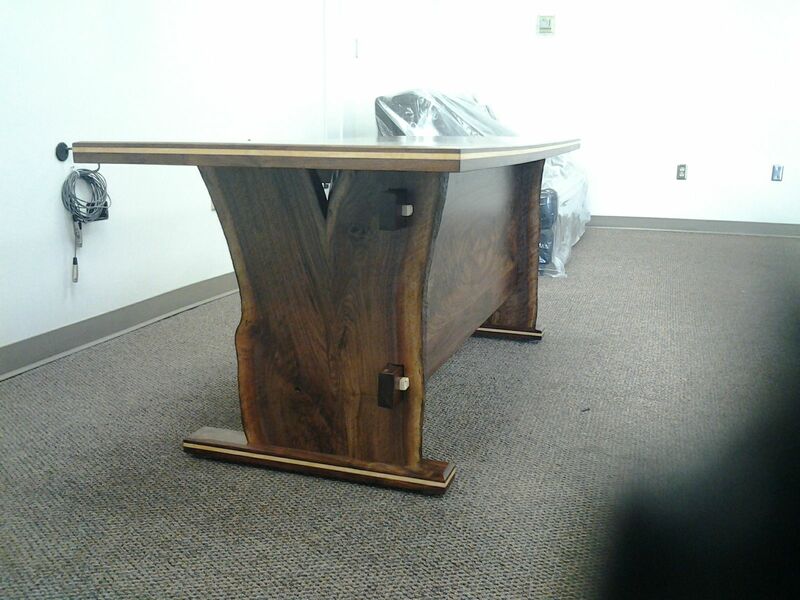 This desk was made from a single, locally cut walnut tree that was slabbed and air dried for over 8 years. 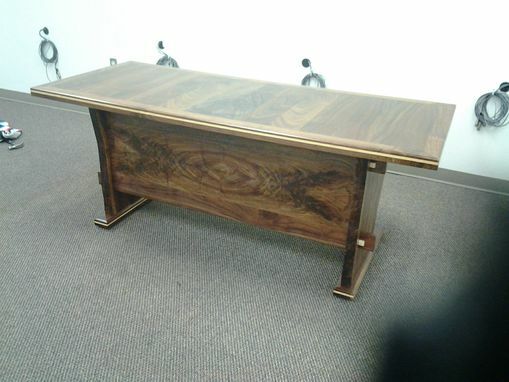 The legs have natural or "live" edges with some bark remaining for a rustic appearance of actual tree limbs on a very formal and high quality piece of furniture. The top is book matched with a very unusual look that was found when the boards were re-sawn. 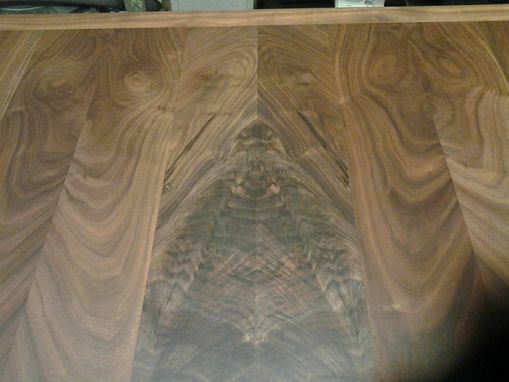 The top has 1/4'' veneer that resembles dog 'faces'. The privacy panel is built in the trestle style and is held in place with maple pegs. The face of the panel is quarter matched; the pattern used throughout the CEO offices.